Indian Space Research Organisation (ISRO) never fails to amaze and bring pride to billions of Indians across the globe. The ambitious ISRO Space Mission called the Gaganyaan mission, which was announced this year, now has a timeline. In a press conference conducted today, ISRO Chairman Dr K Sivan announced the possible months when the ISRO Space Mission could take place, while also stating about various other ISRO initiatives that will be taken up. For the ISRO Space Mission or Gaganyaan Program, ISRO apparently already has placed a management structure. 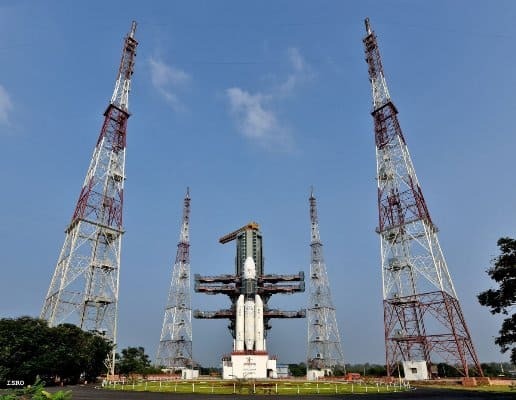 While the first unmanned mission is expected by December 2020 and the second unmanned mission by July 2021, the real human space flight is expected by December 2021 said Dr K Sivan in the press conference. ISRO has started organizing ‘Samwad with Students’ to help the young students of the country identify their scientific temperament, and inspire them to take after their aspirations. In the First ISRO Samwad with Students (SwS), 40 wards and 10 teachers from select schools interacted with ISRO Chairman Dr K Sivan at the Anthariksh Bhavan, New Delhi. When an inquisitive student asked the ISRO Chairman on the qualifications required to become an astronaut, Dr Sivan said “Your health should be very strong, as there will be many kinds of loads and other things. More than physical, psychological and physiological part is more important,” highlighting the challenges astronauts face when having to live in a three meter by three meter enclosure thousands of miles away from earth. This video of the Samwad with Students has been shared on ISRO’s official Twitter handle. Dr K Sivan also announced the ISRO Young Scientist Program wherein 3 students from each state will be selected and trained for a period of 1 month. The selected students will be given lectures, access to R&D labs and practical experience of building a small satellite. ISRO Space Mission: Qualities Required to Become an Astronaut 0 out of 5 based on 0 ratings. 0 user reviews.